What an amazing bite that just seems to be continuing to get better! Even though the School sized Bluefin of 12-20kg can be caught literally from January to Sept, the prime time to catch the jumbo Bluefin over 100kg is traditionally Mid April. 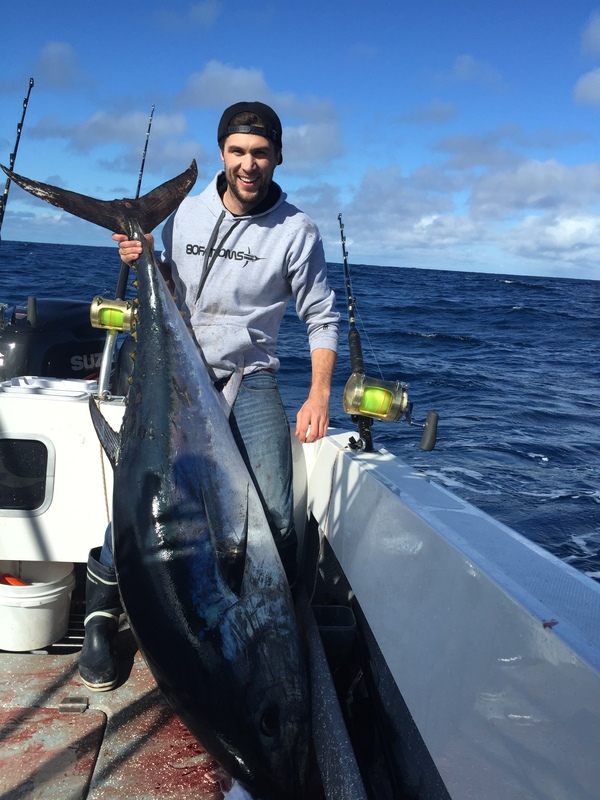 Around mid-August 2015 a couple of good sized southern Bluefin Tuna got caught at Portland in Western Victoria and this got people looking for ‘barrels’. What happened next can only be described as world class fishing. 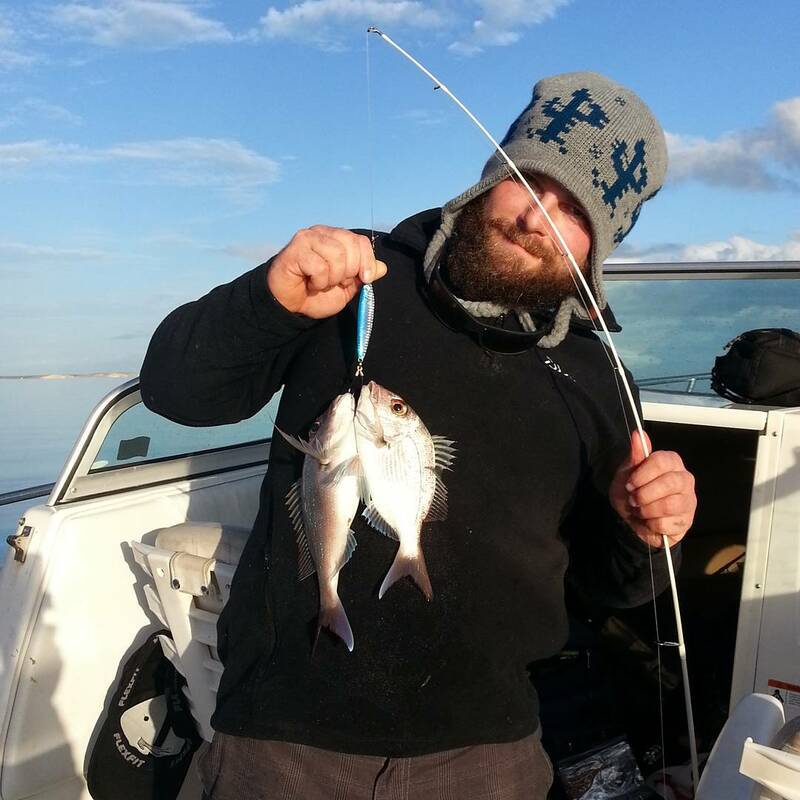 As word spread that the jumbos were in town, anglers raced to the Western Victoria Port town, and with good reason to. 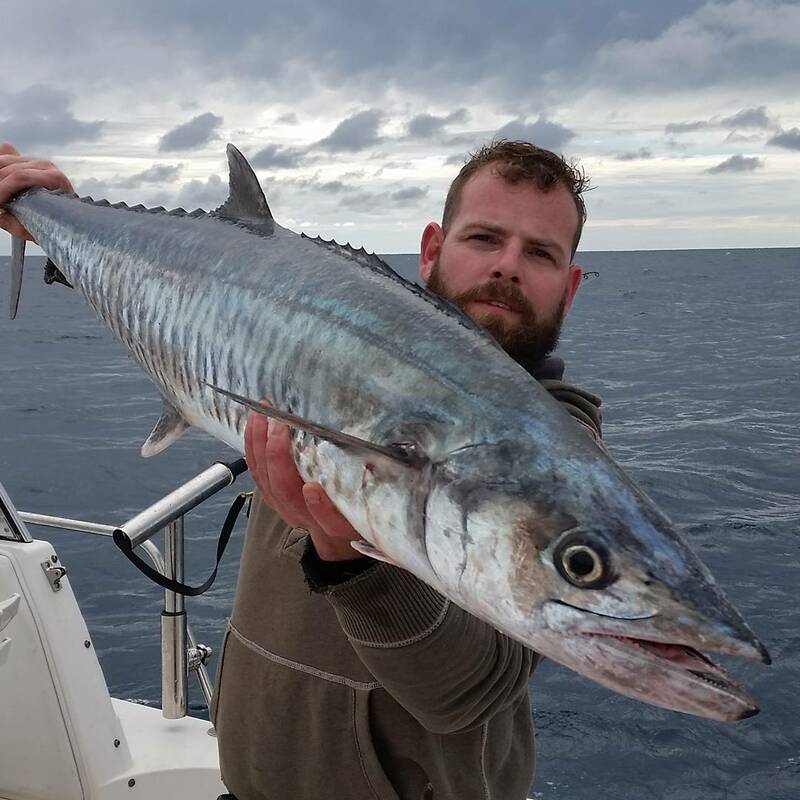 Called ‘barrels’ because they resemble the shape of a wine barrel, it’s becoming a daily occurrence that fisherman are hooking, loosing and landing the true giants – with some anglers having multiple strikes during a single day. I was lucky enough to get down there myself last weekend, and after seeing a few big fish hooked around us on the Saturday, our luck changed on the Sunday when my Paukula Sprocket lure got inhaled out of the port rigger. The first run was nothing short of amazing. There was no mistaking what had taken a liking to my Sprocket! 24kg line howled off my Tiagra 50w like it was in free spool, I pushed the drag lever up to 13kg and it seemed to do nothing to the rate of line loss! We got a look at my fish quite early in fight, about 20mins he popped up and we managed to get close to him, in awe of the sheer size of the fish powering along the surface, he soon decided he didn’t like the look of us, and promptly emptied the spool of line again. After a lot of work on both ends of the line, about 4 blistering runs, and a lot of winding on my behalf we finally had the beast at the side of the boat. He was beyond exhausted after our battle and I certainly had him beat. It wasn’t until once we got him on board, which wasn’t an easy task in itself, that we could really appreciate the size of him, his head, the girth of his belly and his giant tail – it was one impressive fish to see up close. Later on he pulled the scales down to 109kg, and a fork length est. around 170cm. While tomorrow is the first of Sept and the start of Spring, the bait that’s holding these fish doesn’t seem to be thinning out, and word is lots more big fish coming from the West there shouldn’t be any reason why we can’t see this great fishing continue well into September! Best big Bluefin bite ever? The local charter operators are certainly saying so, last time I checked there had been just over 85 Bluefin around 100kg weighed since the middle of this month. How big? Well just yesterday the pending state record of 164.3kg Bluefin was weighed – only 3kg off the all tackle IGFA World record. How long before someone cracks the 200kg mark? Surely there is one swimming around out there somewhere. With the temperature in Perth dropping, a trip north to chase some pelagic species and test out some new rigs and lures was in order. 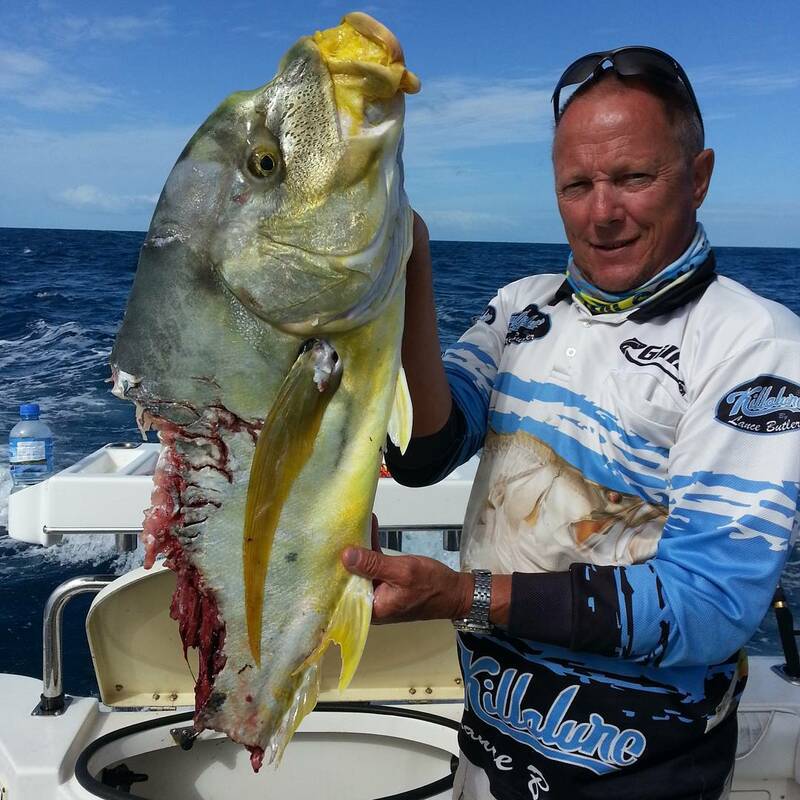 Denham made the top of the list to tackle Shark Bay and the surrounding areas. We loaded the Seawirl Striper up with tackle and 9 hours later we were in the beautiful town of Denham. There are so many fishing options around Denham, you can stay in the bay and chase Pink Snapper or go either west or north to chase some pelagics and warm water species. The water temp inside the bay was only 15degC, so we figured we may as well hit up the bay for what it’s renowned for, the good ol’ Pink Snapper. We picked a likely spot using Navionics, dropped the pick and started a burley trail. It only took a few minutes for little pinkies to be jumping around us taking the burley as we were throwing it in. At one point I even managed to hand feed a couple of pinks. With so many fish, we got to try all our gear and lures. Most of the fish were well undersized, but the occasional horses to be found, so it kept it interesting. The wind started to pick up, so we thought it might be time to move closer to the boat ramp. Being the first day, we couldn’t resist trying a few spots on the way back. There was a lot of fish about, but the wind was making a little less than pleasant, so we figured we’d call it a day and plan to hit up some pelagics the next day. We didn’t plan on bad weather, but the following day was bucketing down. We tried to fish the jetty for some Garfish, but that only lasted a few casts until we were soaked. So off to the pub we went to warm up and plan our actions for the next day. Finally the weather started turning in our favor. We were really anxious to test out some of our trolling gear, so we decided to put the boot in and motor north until we saw an good increase in water temp. About 50km of wide open throttle and we saw the temp starting to rise. Within a couple of kilometers, it went from 15.5 to 21degC. Out went the lures and we were fishing. It didn’t take long to hear the first reel scream. A nice longtail tuna broke the ice, followed shortly by a shark Mackerel and another tuna. As we were trolling I looked at the sounder and thought it must have been on the shop demo mode. The screen was lit up with solid arcs, it was thick with fish. We all hooted with excitement and pulled in the troll rods and pulled out the heavy jig sticks. The first drop didn’t seem to produce as quickly as expected. We jigged for a good 5 minutes before we thought about moving spots and bang, Matt was hooked up solid. The Quantum Cabo 60 was howling and he was barely keeping the rod tip out of the water. He was hooked onto something solid. 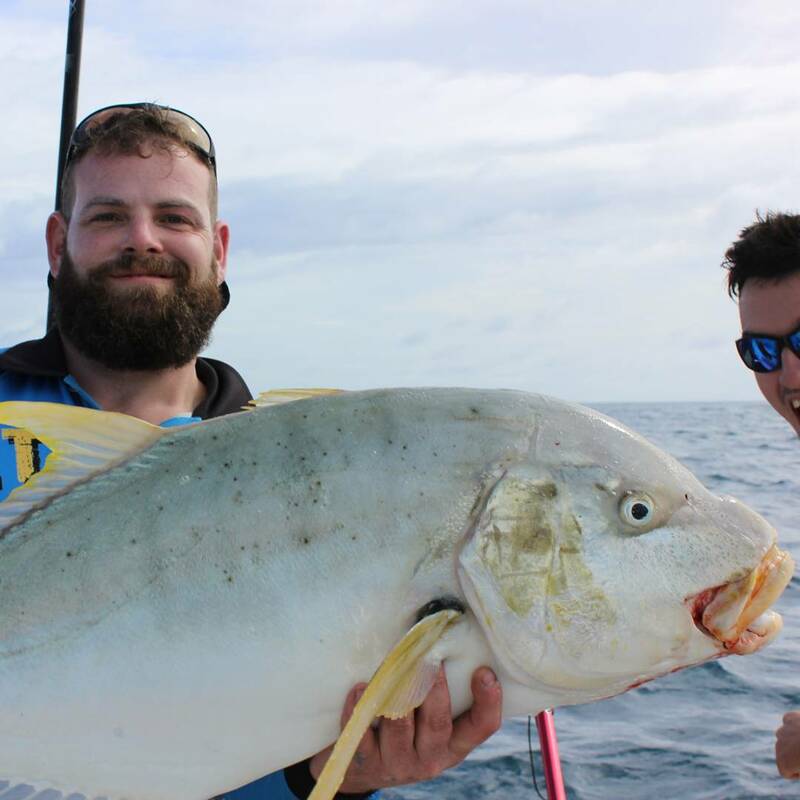 A good fight that lasted a few minutes and required some crafty boat maneuvering skills bought a solid Golden Trevally to the boat. With the taxman hot on the spot, we had no other option but to move. So back went the trolling lures. By this stage it was beer o’clock/lunch. So as fishing goes, with both hands occupied with a drink and food. The rods went off. This time it looked like a classic Spanish Mackerel run. A solid Spanish Mackerel caught on the troll. We managed to fill the kill tank with some quality fish and decided we’d better head home before we got too carried away. The following day was a glass off. So we decided to head out the famous Steep Point and see what all the fuss was about. Without checking the swell before we headed out, we were welcomed by 3.5m+ waves smashing the cliff face. We all looked at each other and figured we made it that far, so we’d better give it a crack. So on went the inflatable life vest and the Epirb found its new home on the driver seat. The amount of activity in the ocean was phenomenal. Whales were breaching all around us. But we could barely see 50m in front of us as the swell was so big and messy, it felt as if we were in a washing machine. Because of the rough weather, we only put out a couple of skirted lures to try our luck raising a billfish. We trolled for only half an hour before we decided to do the sensible thing and go back into the channel to fish in comfort. The inside of the channel was worth fishing, with Pink Snapper, Baldchin Gropers, Rankin Cod and Spangled Emperors. The frequent visit of the North West Blowfish did some serious damage to the tackle box. Shark bay lived up to the expectations, even though the weather wasn’t 100%.